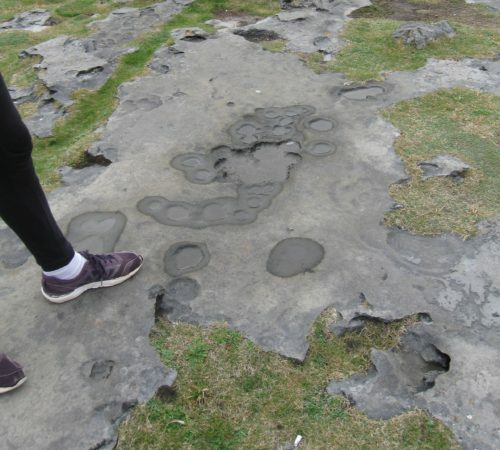 Last week, in the Burren, we met Clint and Grike. Today I want to introduce you to Kamenitza and Karren. 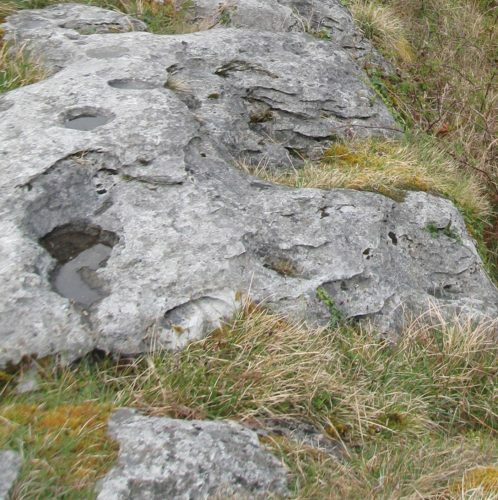 You will have noticed that although the clints have a relatively level surface overall, if you look in detail they have many little pits and small channels on them. As you can see here, the depressions collect water. 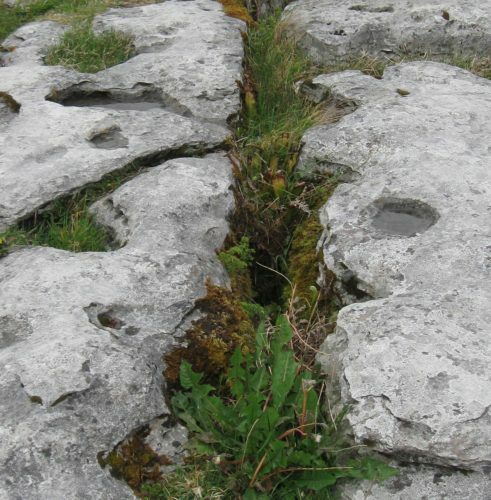 Rainwater is naturally slightly acidic so is able to dissolve the limestone, causing the depressions to gradually get bigger, meaning they collect even more water and so on. The depressions are known as kamenitza. 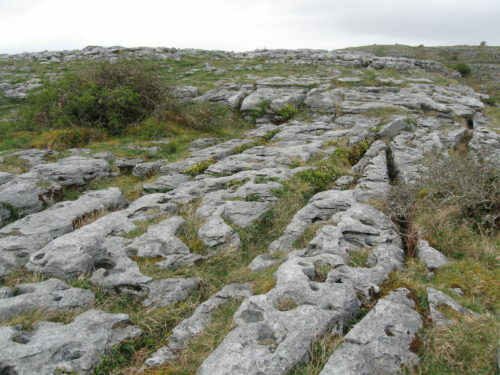 When rain falls on limestone pavement, some collects in kamenitza, while the rest of the water flows to the edge of the clint and disappears down the grike. The flowing water will also dissolve the limestone beneath it, so where the water flows most, will be dissolved most, forming a channel. These channels are called karren. They are easiest to spot where they go over the edge of the clint. 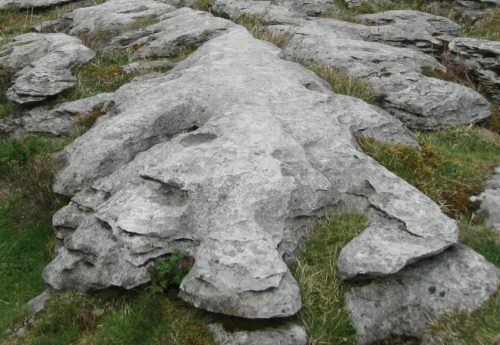 Join me next week to look at some of the larger limestone landforms. Meanwhile, on Saturday, on the Blog About Britain Facebook page, I’ll be starting a new competition based on today’s post! You learn something new every day! As a fellow geographer I’m familiar with Clint, Gryke and Karren but had never come across Kamenitza – sounds like it might be a Slavic word? I believe it is also a Bulgarian beer company!